I was bragging to Jillian the other day as she was nursing her cold that I hadn’t gotten sick yet this season (a mini miracle with two kids) as I smugly stirred one of the dishes for our Christmas dinner. And then BAM, just like a big slap of karma upside the head, I got sick. Granted it was probably from drinking out of her wine glass over the holidays (I can never keep ours straight), but that’s the last time I say something ridiculous like that. I had it coming. I used organic chicken from a local farm (Charles and I swear it tastes a million times better) and loaded it with veggies (you can even increase them or add extra like corn if your kids love a certain veggie). Alternately, you can simply throw in some shredded or diced leftover roast chicken. Whether you’re sick or not this soup can be whipped up in 20 minutes and is an easy way to get kids to eat a few extra veggies! *I used small shells, but you can use any shape you want to! Bring a medium pot of salted water to a boil and cook the noodles until al dente. Drain the noodles and set aside. In a larger stock pot heat the olive oil over medium heat. Add the onion and cook, stirring occasionally, until the onions are fragrant and transparent, about 3 minutes. Add the celery and carrots and cook until the veggies are tender, about an additional 3-4 minutes. Add the frozen peas and diced chicken breast and cook, stirring, until the chicken is just cooked through, approximately 7-10 minutes (check a larger piece for doneness before proceeding). Add the broth, turn the heat to medium-high and bring to a simmer. Add the dill and pasta, stir and simmer for 3-4 additional minutes. Season with salt and pepper to taste and serve! This looks so yummy!!! We eat chicken noodle soup here all the time. Making this today. I am sick too, sinus and eye infection. I also had been saying I had not been sick since last year. Will keep my mouth shut from now on. HAHA. I hope you feel better very soon. Thanks for this great recipe. I hope he gets better soon!!! Just made this with egg noodles – so quick and easy and has a wonderful flavour! Thanks for sharing the recipe! Thank you for the feedback that’s great! I’m allergic to Carrots, Celery and Peas. (I know weird and horrible) But any suggestions on other vegetables to add to the soup instead? Oh wow! Maybe try corn and some green beans? Going to try this one next, and what do you mean cheater chicken noodle soup?? I call this homemade all the way! Haha yes you have a point! I just made this soup yesterday and it’s fantastic! 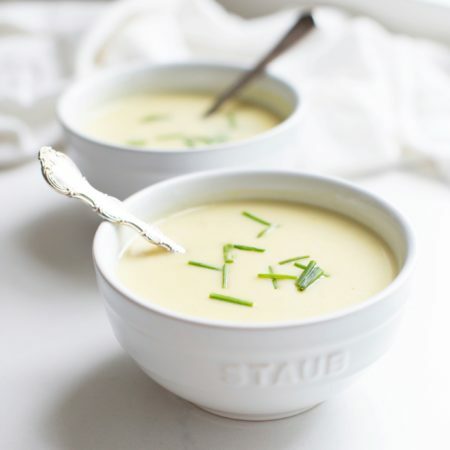 I love the addition of dill, what a great flavor it adds to this comfort soup. And this was so easy to make. Would you know what the calories would be per serving? Thank you!!! I’m not sure I haven’t done the count… it’s not high calorie though, especially if you go light on the pasta! Wow I made this soup tonight and it was so easy and delicious!! Only omitted peas as my hubs & I aren’t huge fans. Thank you for sharing this recipe which will be a keeper in our home! This is my third time making this soup in a month! It’s so easy and so delicious with the fresh dill! My husband keeps asking for it, and I have had friends ask me for the recipe! Definitely recommend! Thanks Tori!! Thank you so much Karli, that’s awesome!!! This was yummy! I added extra carrots and celery and used parsley and it came out very nice. Perfect for our Canadian winters. This looks so good! Do you think it would freeze ok? Great recipe! Thank you…will be making with the bread for my boys tomorrow. Try Herbs de Provence too in Chicken Soup…yummy!